It was an intense 2 days for 18 physicians from all over Lebanon who gathered to hear the leading experts provide a comprehensive review of endometriosis. The delegates met at the Aboujaoude Hospital Auditorium for the 2 day live stream that also coincided with the ongoing 25th Anniversary celebrations of ISUOG. This is the 4th live stream transmission of an ISUOG course here in Lebanon. It was a most memorable session for SANA today as during it 6th didactic session for the midwifery students at the Lebanese University (LU), it had a surprise celebration! 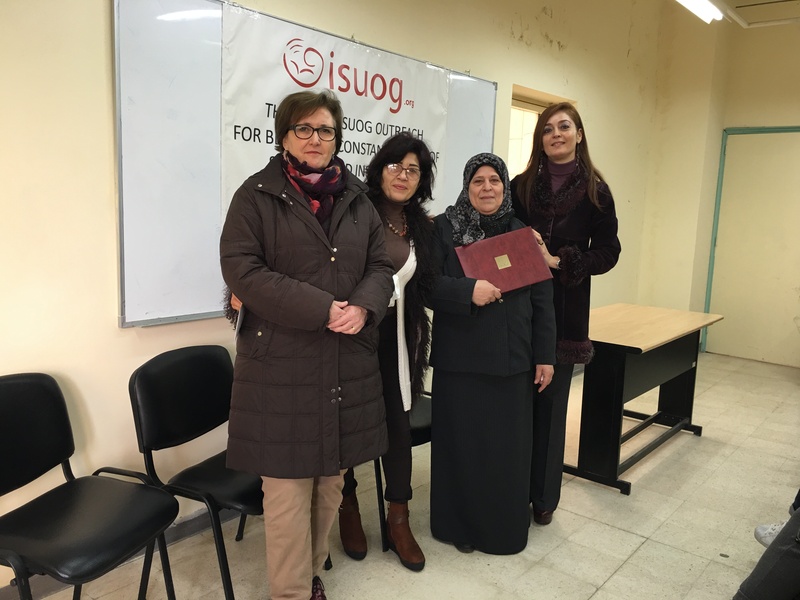 With much pride, SANA celebrated today the completion of the training “The 6-Step Approach to Basic Obstetrical Sonography” in accordance with ISUOG Outreach Guidelines, to CNM Salma Mariam. 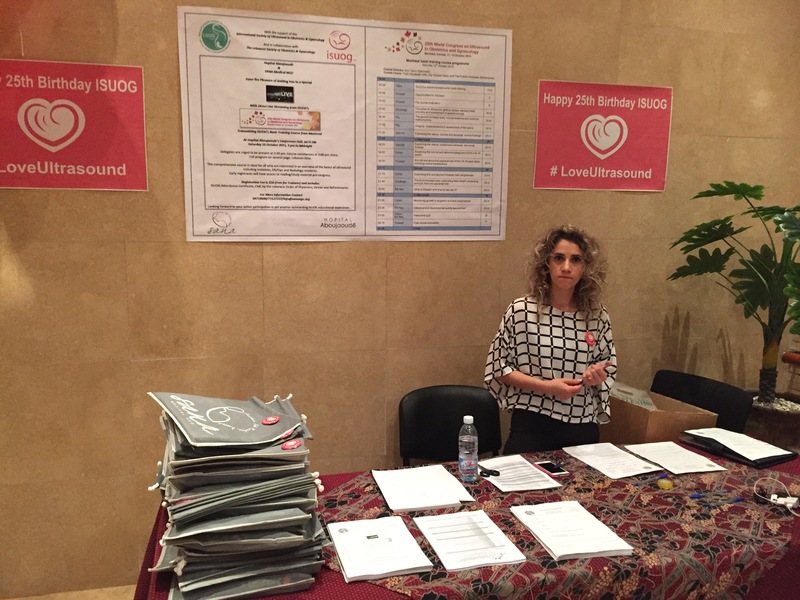 A grand celebration it was, and an unforgettable Saturday night, as 38 delegates gathered at the Aboujaoude Hospital’s Auditorium to commemorate ISUOG’s 25th Anniversary. 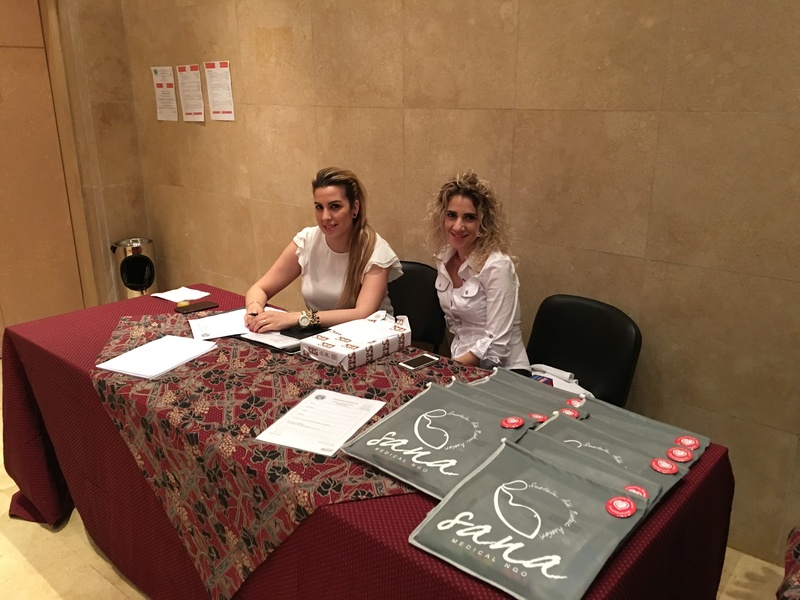 For the occasion, and for the first time ever, ISUOG live-streamed its basic training course to various satellites across the globe, with over 1000 total delegates, and one of which was Lebanon’s SANA/Aboujaoude Satellite. It was a new, most exciting and successful venture for SANA! With the support of ISUOG, and in collaboration with LSOG, SANA partnered with Hopital Aboujaoude in order to live stream ISUOG’s Advanced Doppler Course into the Conference Hall at Hopital Aboujaoude in Jal Al Dib, Lebanon. This was made possible by the gracious hospitality of Hopital Aboujaoude and the generous support of Clearblue and General Medical Equipment. SANA is honored to have had Reem S. Abu-Rustum as an invited speaker to the 24th World Congress of ISUOG held in Barcelona, Spain where she presented SANA during the ISUOG Outreach Workshop. Excerpts from the presentation can be viewed on YouTube. 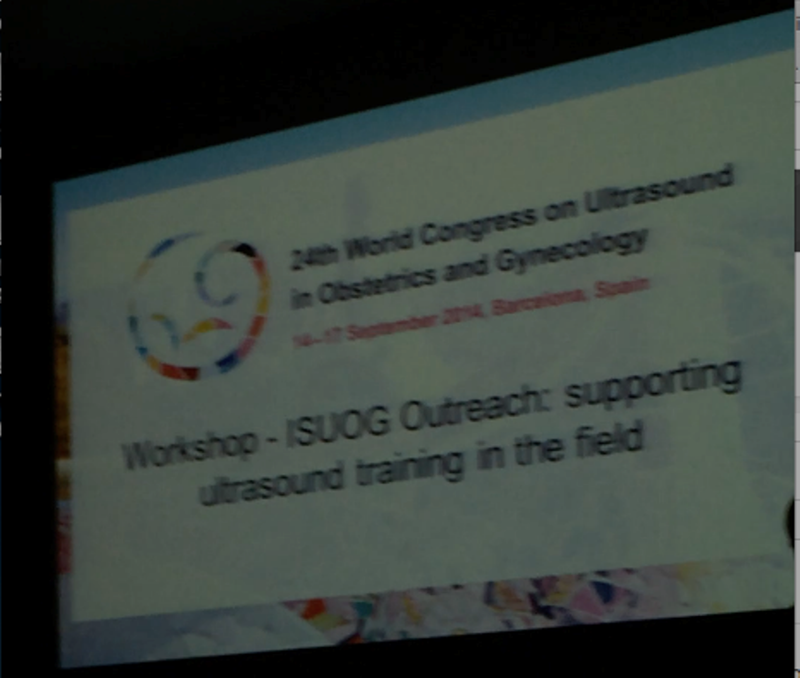 ISUOG Members can view the full Outreach Workshop from the 24th World Congress in Barcelona, Spain via ISUOG OnDemand.